Whether from today until next December 4 you arrive in Santiago de Compostela after your pilgrimage along the Camino, as if you simply spend the weekend there, you can not miss the gastronomic initiative Santiago é tapas, which starts Thursday . 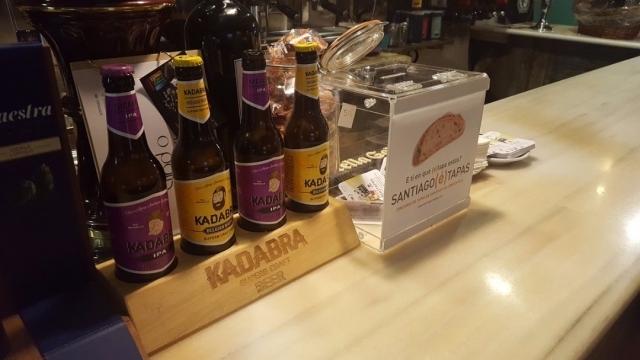 For the ninth year, up to 68 venues in the city will participate in this event by offering the public a wide variety of up to 104 tapas at a price of 2.5 euros from this same Thursday and for two weeks, from 13.00 to 15.00 and 20.30 At 11:00 p.m. The gastronomic event uses the hook of the Camino de Santiago proposing five routes that will have to be crossed to seal our tapasporte little by little and thus to be able to choose different prizes while we taste the delicious snacks that will fill Santiago de Compostela for more than two Weeks. The best appetizers will be awarded, exactly three that will be chosen by popular vote and one extra that will be chosen by the jury. The public will choose the Tapa do Público, endowed with 1.000 euros, a second prize with 500 euros and the Prize to the Excellency to the local with the best integral service. Experts from the organization will go to different venues to decide who takes the Jury Prize for Best Cover and in turn will give a special mention for a special cover linked to the world of cinema.